At the recently concluded Madrid Fusion, Spanish and Filipino cuisine were both put on the spotlight. Many booths have shined but nothing could have outshine the festive spirit at the CALABARZON booth, it's the cherry on the cake. It took me the whole day to experience the exposition and went home with loads of goods from both worlds and a bit tipsy from all the wines and liquors I had to sample. But I have to say, I was absolutely enamored at CALABARZON's booth, and most of the spectators ganged up the place for the Pancit Habhab and Yema Cake slices being passed around. Colorful kiping lanterns, planter lined walls, different products from the region and of course smiling faces made it a venue of allurement. 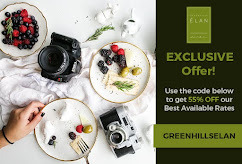 We have been constantly reminded, for the longest time the rich culinary culture of the Tagalog region and this food and travel blog have gawked upon some achievable family tours which me and my family had shared here. How can we not know about the festivities that have put mark on CALABARZON. CA for Cavite, LA- Laguna, BA- Batangas, R- Rizal and ZON is short for Quezon as what we were taught in school. These five provinces most likely are top on every day tour's destination coming from Manila. Amongst the festival meant for tourist to flock this region are the Pahiyas Festival, San Pablo's Coconut Festival, Pakil's Turumba and more. The first stop of the tour was at Sulyap. It was for breakfast, however you can visit them any from 7 am to 9 pm. I would recommend you come before 7 pm, that's when the gallery closes. 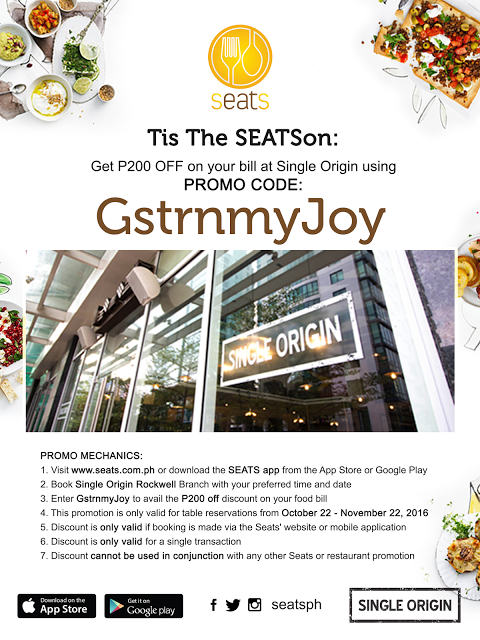 They serve breakfast since they also cater to their overnight hotel guests, though you can come for lunch, snack and dinner. 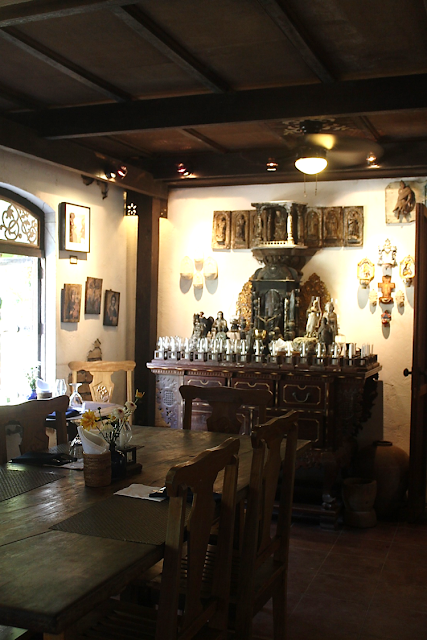 Casa San Pablo is a retreat and vacation place for couples Boots and An Alcantara and their family, It used to be a coconut plantation which was most of the lands of San Pablo but was bigger during the Spanish and American conquest. However, a verdant open land will welcome you and only a number of coconuts can be spotted in the vicinity. What replaced the coconuts are decades old tall pine trees, cottages and a lot of nooks for contemplating and winding away time. We were greeted by Ms. An Alcantara at their shop which perhaps serve a concierge area a well. We were there for lunch but before the quintesential Tagalog lunch, we first watched how San Pablo thrived to be a coconut-rich city, and the history behind how our very own "tree of life" was discovered along with the many uses of coconut. After the awe-enriching lecture we were led to the other side of the dining hall for a brief lesson on the life cycle of the coconut. The prequel to the Coconut Cooking Tour - a shot of Lambanog. popular abroad as coconut wine or coconut vodka. In Quezon, drinking lambanog is usually regarded as a communal thing were men sit around and take turns drinking shots from a cup placed in the middle of the group. Usually, there is also someone singing and playing the guitar to add to the festivities; he takes his turn at drinking too, so the music gets more interesting as the drinking goes on. Primarily produced in Quezon province. lambanog has been a primal cottage industry and I now beginning to get international recognition. The process of making lambanog is actually a "buwis-buhay" thing, meant as a dangerous and laborious job for the "mangangarit," or the Plantation workers who climb the coconut trees every afternoon to prune the flowers so that their sap drips into bamboo receptacles called tukil. Above is Ms. An holding the flower of the coconut tree. Will touch more on how lambanog is processed on the last leg of the tour. Another manly drink that comes from the sap of the flowering coconut tree that went into fermentation is the tuba. I used to here this a lot when my paternal uncles would visit us and they would drink this with pulutan. Thank God they don't have it available cause I could not really stand the scent of it. If fermented longer, the tuba will acquire more acidity thus becoming very sour, in turn becomes the famous "sukang Tagalog," their version of coco vinegar. On the foreground is the cocosugar, while behind it on the right is the coco syrup. Once all the blossom of the drupe has shed off leaving only one fruit to mature per stem, it will take a couple of more weeks for the fruit to grow. In less than forty days you can harvest the young coconuts for it's coconut water. I thought I wouldn't be able to get my daily fix of coconut water. But I happily drank more coconut water from the rest of the group, while others have made it as chaser from getting a shot of lambanog. Knowing how good it is for once health, I was very much into having it at least every other day together with it's slivering white glory of a fruit. This coconut tour wouldn't be complete without trying out a freshly picked and cut coconut and savoring pieces of buko pie. Laguna famed for its hot springs and pasalubong stores aligned along the national highway as many things to be really proud of, and it includes the highly coveted pasalubong- Buko Pie, which Colletes and Orient have been known for. I couldn't deny the fact that we couldn't pass by Laguna without taking home at least a box of Buko Pie. Another coconut by-product I grew up with is the Coco Jam. However, the one we would always have in our house was the one that came from the Visayas. But if I do get a chance to store up a jar in the house I would get from the Quezonian origins. Tagalog version of coco jams are more richer yet less viscous, according from someone from Gracepark Estates, their version uses more coconut milk compared to other recipes. Above is a platter of crackers spread with coco jams. Here is one of the staff of Casa San Pablo sporting a new trend in culinary...hahaha, actually he was showing how people in those times would get the hard coconut meat out of the shell. A wooden stool with a sharp jagged circular wedge is attached to it and the coconut is driven through it. If I'm not mistaken, it's called kudkuran. The shredded coconuts are used so very fondly in Tagalogs' kitchens, this is were coconut milk comes from and when dried or dehydrated is turned into desiccated coconuts. And yes, Casa San Pablo have also prepared Ginataang Bilo-bilo for us. It's sticky rice stewed in pure coconut milk and strewn with mini sago and glutinous rice balls. Now, trying my best to recall how this was called. the yellow thing in the very matured coconut. They said it's also a delicacy in San Pablo, we were asked to try so I did, it has a funny taste to it, like a texture of a turnip with a hint of oil to it. The tour didn't stop there, we were also taught how they prepare their conspicuous Kulawong Talong. After having read of this dish served in Sulyap, it made us jump right to our car and travel all the way to San Pablo just to try this. Kulawo is what they call their local coconut vinaigrette, where shredded coconuts are grilled directly to the cinders of the charcoal. Lunch was equally orthodoxical, with dishes that had long been written even in Rizal's own words. What makes their meals exceptional are the condiments that are served to pair with certain dishes. I've never liked pickled veggies when I was a child, though when we would have fried fish and meat, it is a must in the table to have dips made from soy sauce, calamansi, chopped onions and tomatoes. Sometimes a serving of atchara, but I quivered, while my parents would savor bits of these pickled papayas with the humbling fried galunggong. 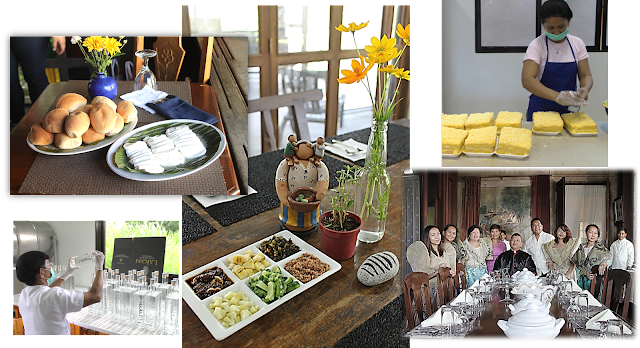 In Southern Tagalog condiments which they call "pantapik" are customary in every communal tables. Brined or pickled vegetables fall under the category that is pantapik, rooted from the word tapik, which is meant to tap with the fingers, fried or stewed meat and fish are dipped in these condiments or are eaten together. Both RD Rebecca Labit and Ms. An educated us about such foods which made lunch even more distinct. It was the first time I've heard of such term and it was an awakening. The beautiful vinatage wooden table is adorned with country-inspired trinkets and these colorful varieties of pantapik. There are cubed brined camote, saba banana, ampalaya (bitter gourd), bagoong, pickled leafy veggies and the pinaete (dried and salted tiny shrimps). 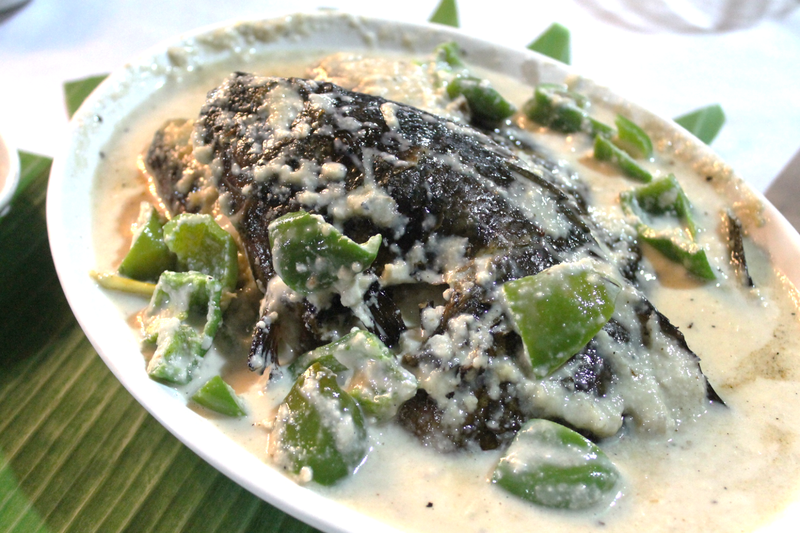 According to Ms. An, Rizal even mentioned the fish ayungin in one of his novels, these fishes, caught in Sampalok lake is abundant in the area, and to proper way to cook and savor it is with this dish, Sinaing. Sinaing, or steamed in other word, is a version of Paksiw or Pinangat, where the fish is cooked in ginger and vinegar. In this tour I came to know a different version of the quintessential Adobo, this one is like a cross in between adobo and tinola and with coconut milk sauce. San Pablo's Adobong Manok sa Gata has sliced sayote and a hint of ginger. The coconut milk made this dish rich and creamy without being salty and vinegary like the regular adobo. You can really tell the passion they put into preparing even simple dishes, like these fried fish named Pinaputok na Tilapia. San Pablo is so unique in that it's the only city in the world that has seven lakes and the known Lake Sampalok is abundant with fish such as Tilapia, Ayungin, Biya, Bangus to say a few. So question that fish is also part of their everyday meals. More Kulawong Talong for us on the buffet table. Next stop was at Lucban, Quezon. The tour was planned amazingly that it was also the celebration of the 4th Habhaban Fest, which was a preempt to the religious Feast of San Luis Obispo held every August 19. 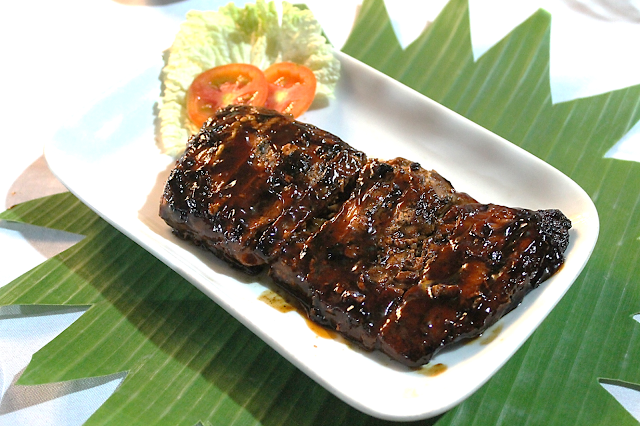 The Habhaban fest was led by the infamous Buddy's Lucban Restaurant and Longanisa. The grandiose celebration was a way of Buddy's appreciation to the people of Lucban and to God for staying in the business and still growing for 30 years already. The highlight of the celebration was not the visit or performance of Jericho Rosales but the contest to look for the Habhaban King and Queen. A contest was set up for townsfolk, including children who can gorge as many as 30 plates of Pancit Habhab. 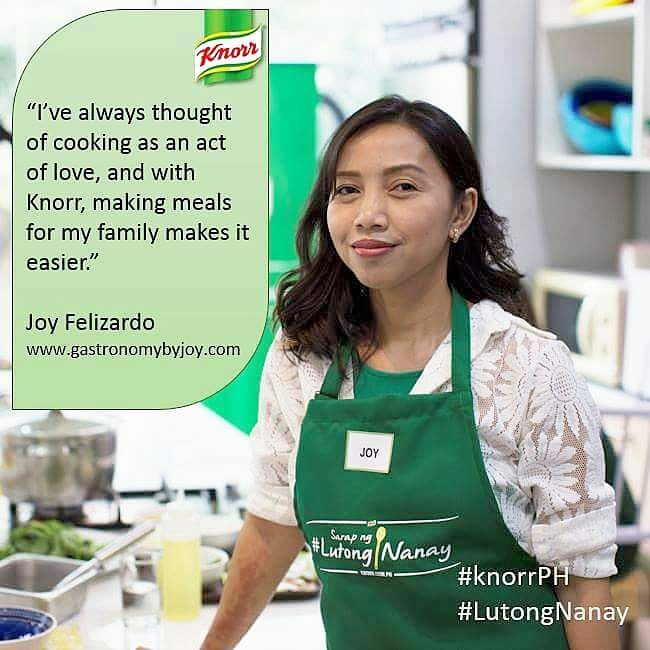 What started out as a fish pond business to have a family income after coming back from working in Saudi Arabia grew to become one of Quezon's hidden culinary jewel. 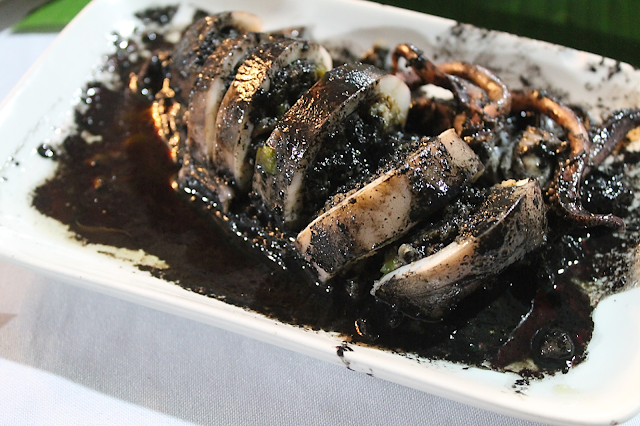 Kamayan sa Palaisdaan is famous for their, of course, fish dishes, cooked and prepared the Tayabas, Quezon way. I'm just enamored of how Quezonians live up to the words, "love your own," aside from using and marketing what is abundant in their surroundings, they also make sure they give their fellow town's men jobs and something they could gain of to. After coming from the pulsating vibe of the Habhaban Fest in Lucban, we were then brought to Tayabas, Quezon which is only fifteen minutes away. Though late we were referring from the itinerary, the dinner table that was waiting for us were still hot and picture perfect. 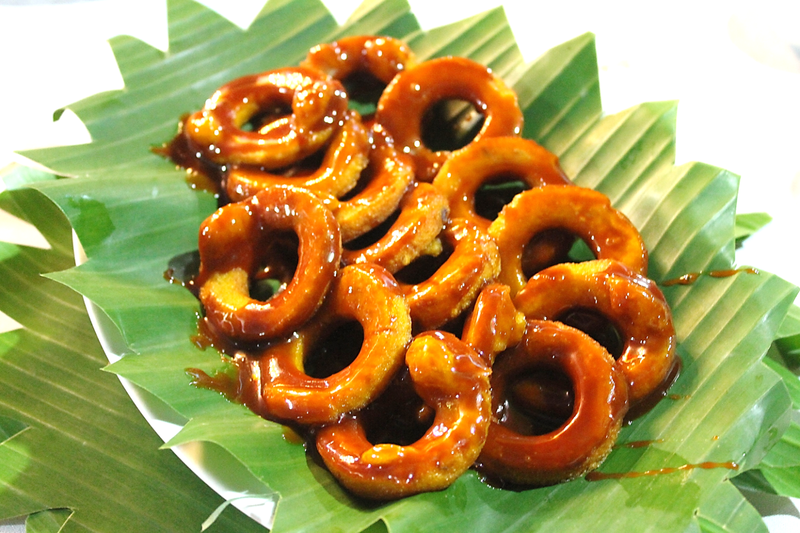 CALABARZON surely has it's magical ways of enticing you not only to eat but truly savor pure Tagalog's culture. Though still having a heavy tummy, I didn't hesitate to try some of Kamayan's bestsellers. 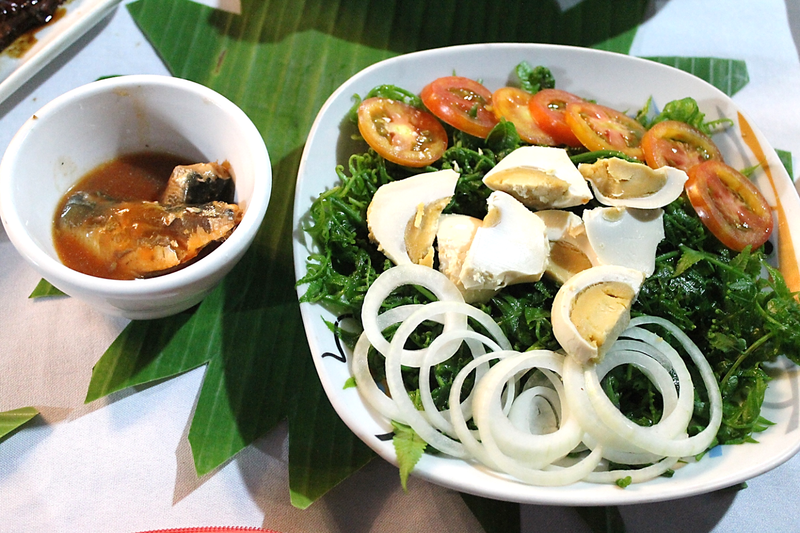 One of my favorite is the Ensaladang Pako, which is a salad with fiddlehead ferns, tomato, onions, and salted egg on a very tangy and sweet local vinaigrette. Fiddlehead ferns or pako is hard to find, though profuse in the region so this appetizing delicacy is a must when visiting the area. If I could remember it right, I had to buy a lot when I had this tour at Liliw, Laguna, cause you can not really find one in any markets in Manila. This was just the first day of our CALABARZON Kulinarya Tour. 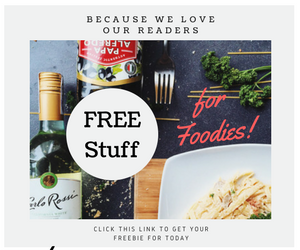 On the next blog, I will let you in on more of my inspiring gastronomic discoveries.